Across the Texas Plains and west to the Sandy deserts the Texas horned toad is a proud state symbol. 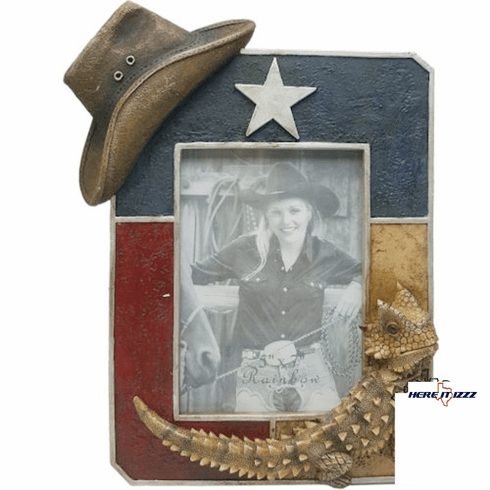 This Texas horned frog 5x7 picture frame is painted in the style of the Lone Texas flag. At the top of the frame is a cowboy hat and bottom right is a three dimensional Texas horn lizard. This picture frame is self standing and hold a 5x7 print in vertical mode.